Guilt-free baked goods…what could be better? These muffins have more protein than conventional breakfast pastries, less carbs, no gluten and they still have all the flavor! These are my go-to on busy mornings. 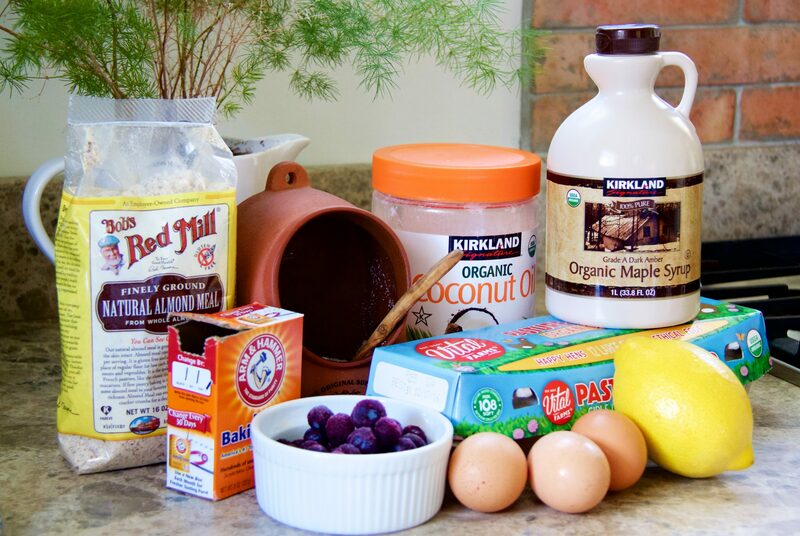 I don’t enjoy baking if it’s overly complicated so I have narrowed down the recipe to just a few ingredients. I had the recipe memorized after making them just a few times and I can whip them up in less than five minutes. A quick tip to cut down on dishes is to only use “1 cup” and “1 teaspoon” to measure and just eyeball it. I fill up the measuring cup halfway with oil and then top it off with the maple syrup. Easy peasy! 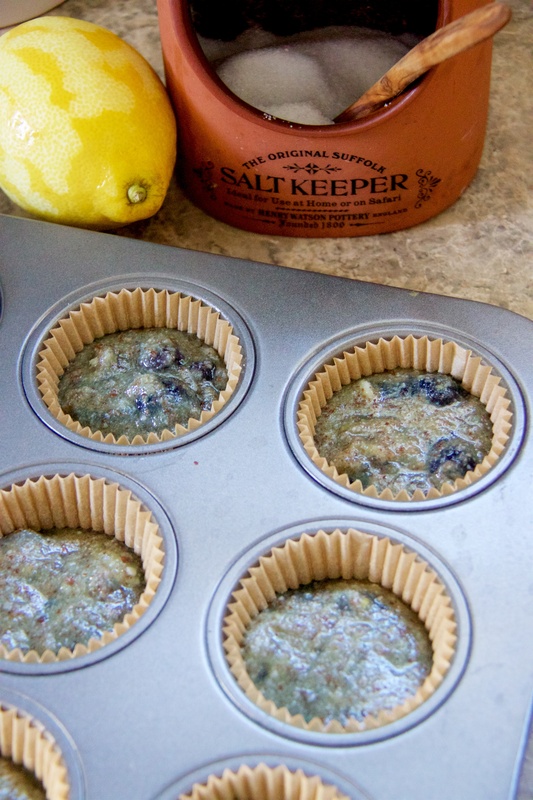 Place paper liners in each cup of the muffin tin. Combine flour, baking soda and salt in a medium bowl. Mix well. 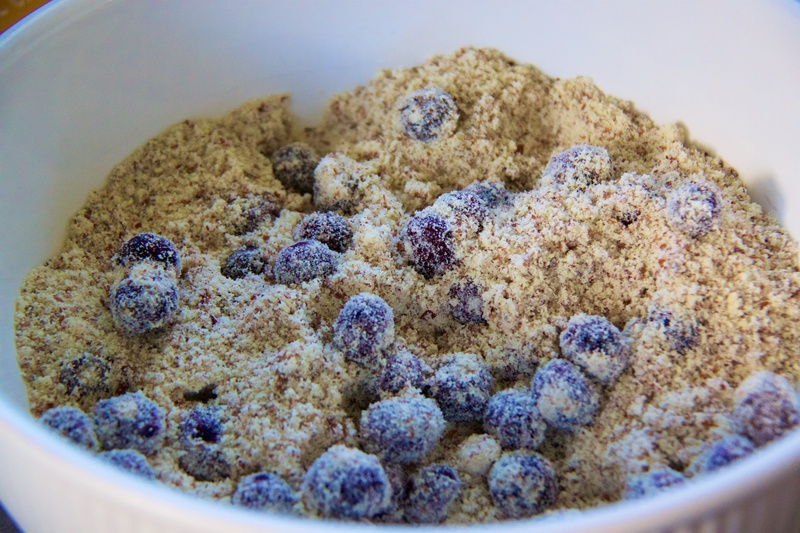 Then, add the blueberries. In a separate bowl, combine eggs, coconut oil, maple syrup and lemon zest. Mix well. Pour the wet mixture into the dry and stir until combined. Fill up each paper-lined cup three quarters of the way with the mixture. You can eat them hot, right out of the oven but they will stick to the paper liner. If you allow them to cool then they will peel away easily. You can also substitute the blueberries with cranberries. Bon Appétit!